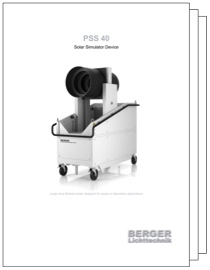 In its 4.5 ms usable pulse time the Pulsed Solar Simulator PSS 40 can test modules of 3 by 4 meters in size. 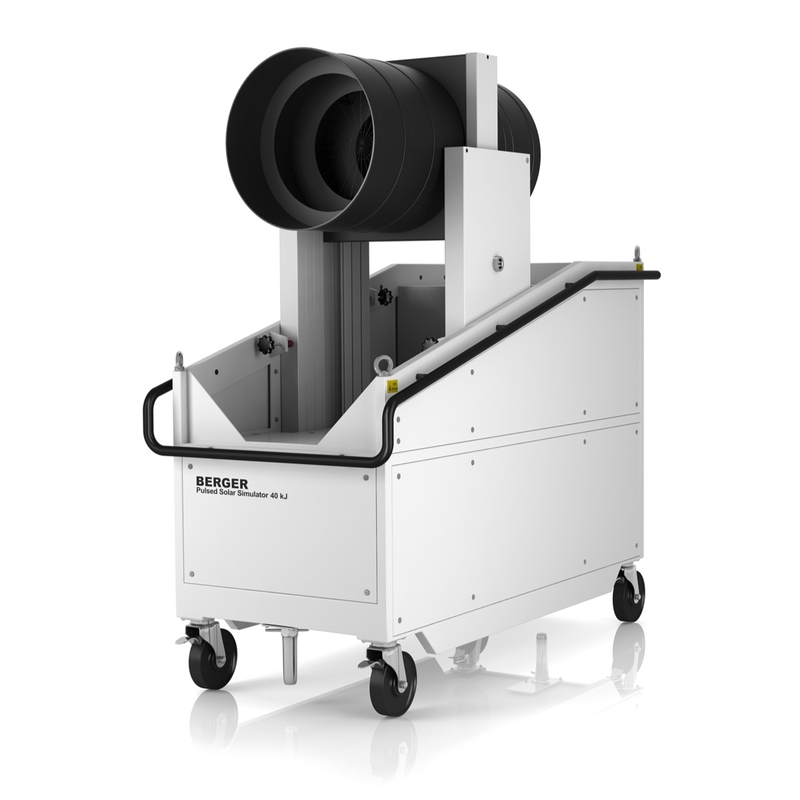 Spectrum can be adjusted from AM 0 to AM 2 or special Multi Junction requirements. Power rating (1366 W/m²) adjusted at 12-15 m distance (depending on system setup). Strong mobile steel frame setup includes height adjustable lamp support.